An excellent example for Social Innovation is Nike. Along with its innovations in footwear, Nike has made great efforts in investing in sustainable innovations. The Flyknit project uses technology to weave the yarn of each shoe in the most optimal manner, to get maximum performance with minimum wastage. Another one of their innovations includes recycling of bottles to make shoes. Plastic bottles are melted to form strands of polyester, which are then woven into fabric for the shoes. An innovative initiative that showed Nike’s passion towards creating a sustainable environment is the launch of its app ‘Making’. This app helps companies measure the environmental impact of using different materials. It encourages designers to choose the right green materials while creating their products. Nike has taken the responsibility of not just being a sustainably innovative company, but also a driver of sustainable innovation amongst its partners. It has invested in doing good research to find out standards and protocols that would help use materials and processes that create a sustainable ecosystem. 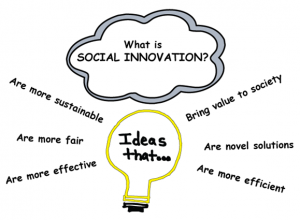 Considering the example of Nike, what could, therefore, be the most essential factors needed for a company to be a successful Social Innovator? We must be able to find a burning issue and make enough efforts to convert this into something of business value. There has to be concrete proof that the outcome will have benefits (tangible or intangible). Finding a business value based on intangibles is not an easy task. But it is mandatory. We need to know our users. The environment and the people affected directly or indirectly by the products and services of the corporate world are the primary users. We need sponsors and champions for this, in the same manner as we have for Internet of Things, Smart Things and the like. We also need a team of dedicated resources who can help in this initiative. Transform the organization to be broader in its approach to production and manufacturing. This transformation can be in its culture or in its processes. Only by embedding the innovative approach into the heart of the company’s working, can a company really innovate. We should make full use of technology. But is it worth investing in IT for Social Innovation? We need tools to identify and create the products, processes and services, in the same way as we have done for the more commercial areas of our lives. We need the right model and design to execute this Innovation initiative. There are many programs and applications that can be used for this task. There also has to be lessons learnt repository, to broaden our domain knowledge. Marketing Research is crucial in identifying the pain areas and getting detailed reports to study the issues. The question we have to ask ourselves regarding innovation is, will this make our lives better and prosperous rather than just making our lives luxurious. Great article. Do agree . see http://www.defih.com (website in French sorry but expanded in NL so soon in English…) as an example on How connect Innovation and CRS policy. Thank you for linking the post to a wonderful initiative. Just visited the Defi H site and also read a couple of posts about it on Sogeti Labs . I would love to know more about Sogeti’s role in this. Thank you for linking this post to a wonderful initiative. 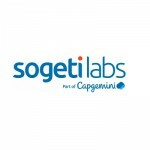 Just looked at the Defi H site and also read a couple of posts on Sogeti Labs. I would love to know more about Sogeti’s role in this.